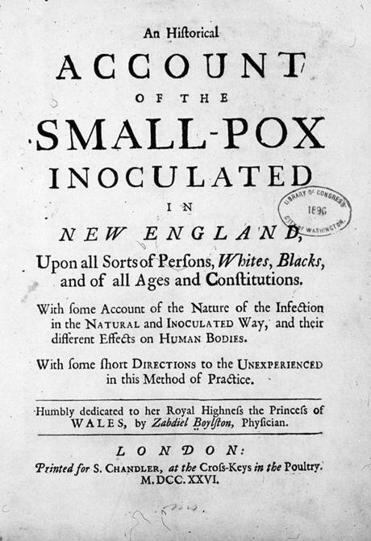 Cotton Mather’s successful smallpox campaign was based on inoculation advice he received from a slave named Onesimus. The spread of Ebola has added a scary twist to one of the clichés of our age: that we live in a world of shrinking distances. Boston isn’t one of the five US airports where officials will aim an infrared thermometer gun at anyone coming off a plane from West Africa. But passengers who reached Logan Airport with flu-like symptoms last week were escorted to hospitals by a team in hazmat suits, and our eyes now scan the horizon nervously, wondering about every new arrival. New as it might seem, this anxiety about our hyperconnectivity has a long lineage: In the 17th and 18th centuries, Bostonians felt a similar terror. The ships that streamed into Boston Harbor from around the Atlantic world carried a vital lifeblood—the commerce that built Boston—but they also carried the microbes of infectious disease. The most fearsome of all was smallpox, the disease that wiped out so many Native Americans at the time of European settlement, and that also killed large numbers of the English. A terrible epidemic came in 1721, infecting roughly half of Boston’s 11,000 residents. But Boston’s approach to public health changed that year, thanks to an experimental strategy for inoculating citizens with small traces of the disease. The idea behind this radical new treatment came from Africa, specifically from a slave named Onesimus, who shared his knowledge with Cotton Mather, the town’s leading minister and his legal owner. Boston still suffered dreadfully, but thanks to Onesimus and Mather, the terror linked to smallpox began to recede after Africans rolled up their sleeves—literally—to show Boston how inoculation worked. The story of how Boston began to overcome smallpox illustrates the strife that epidemics can cause, but also the encouraging notion that humans can communicate remedies as quickly as they communicate germs—and that the solutions we most need often come from the places we least expect to find them. To early New Englanders, smallpox was one of life’s many imponderables. No one really knew where the disease came from. Was it carried by bad air, or sent as a form of divine retribution for personal failings? Boston had plenty to fear on both counts—one observer described the town at low tide as “a very stinking puddle.” Medical knowledge was still primitive; a learned scientist, John Winthrop Jr., kept what he thought was a unicorn horn in his cabinet. For most, the first line of defense was the prayer book. Disease was an inseparable part of the New England story from the beginning. It arrived wirh the Great Migration of the 1630s, aboard the very ships that brought so many families to New England. It returned in 1666, and again in 1678, when an epidemic killed 340 Bostonians. A young Cotton Mather wrote, “Boston burying-places never filled so fast.” With time, local leaders began to develop crude public health policies—burying the dead quickly, flying red flags over houses affected, and requiring ships with sick sailors to stop at Spectacle Island in Boston Harbor. But as Bostonians knew, the next epidemic was always just over the horizon. In 1721, on April 22, the HMS Seahorse arrived from the West Indies with smallpox on board, and despite precautions, a full-blown epidemic started. This time, however, the city was better prepared, thanks to several unlikely heroes. Cotton Mather is not always the easiest figure to admire. The scion of a dynasty of ministers, he fought a lengthy rear-guard action against time, trying to stanch the ebbing of power among the city’s religious authorities. But he was surprisingly modern in some ways, and paid attention to the new forms of knowledge coming in on those ships. Another contradiction lay in his racial attitudes—his writings suggest that, more than most of his contemporaries, he admired Africans, but he also accepted slavery, and had raised no objections when his congregation presented him with a young slave in 1706. He named him Onesimus, after a slave belonging to St. Paul. Excited, he investigated among other Africans in Boston and realized that it was a widespread practice; indeed, a slave could be expected to fetch a higher price with a scar on his arm, indicating that he was immune. Mather sent the Royal Society his own reports from the wilds of America, eager to prove the relevance of Boston (and by extension, Cotton Mather) to the global crusade against infectious disease. His interviews with Onesimus were crucial. In 1716, writing to an English friend, he promised that he would be ready to promote inoculation if smallpox ever visited the city again. When it did, Mather pursued a determined course of action, asking doctors to inoculate their patients and ministers to support the plan. His call was answered by only one person, an apothecary named Zabdiel Boylston, who began by inoculating his 6-year-old son, Thomas, and two slaves. A treatise on smallpox by Zabdiel Boylston. Another attack came from the New-England Courant, a newspaper that debuted on Aug. 7, as smallpox raged. The brainchild of a satirical editor, James Franklin, it was unlike anything Boston had seen before, ridiculing an older generation perennially telling everyone else how to behave. Inevitably, it jumped right into the inoculation debate, finding its fattest target in the prig who was always lecturing Bostonians—the Very Rev. Cotton Mather, D.D. At 58, he was the last avatar of a worldview that had exhausted itself in the 17th century, particularly during the Salem witchcraft crisis of 1692, which he had helped to bring about. It must have seemed as if the entire town was against him. But in this instance, he knew what he was talking about. Through all of the opposition, he and Zabdiel Boylston persevered in their efforts to “Conquer the Dragon.” As the dreadful year continued and smallpox took its toll, the results began to tell. Inoculation was not perfect, but it was a far more effective response than doing nothing at all. When the epidemic had run its course, 5,889 people had contracted the disease (roughly half the town), and 844 people had died, or one in seven. Of the 242 who had been inoculated, only six had died–one in 40. In the aftermath, Mather and Boylston were lionized for their courage, and Boylston was received with accolades in London, where he went for a long visit. Little is known about the fate of Onesimus, though Mather recorded that he was able to buy his freedom. 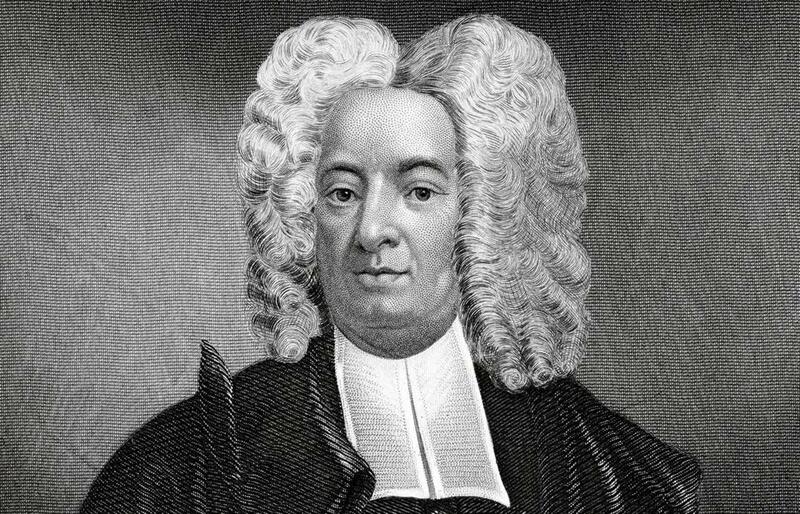 God knows that Cotton Mather could be hard to take—one reason the New-England Courant found an immediate audience by attacking him. But in his openness to science and evidence, and his willingness to listen to an African living in his household, he showed a capacity for self-correction that redeemed some of his earlier failings. We will never know if he found redemption in the sense of the word he understood; but he found a meaningful second chance in 1721, and embraced it. Boston was not quite out of the woods—other epidemics would come, often during wars that we remember with more clarity. But a smallpox vaccine, safer than amateur inoculation, was invented in 1796. Nearly 200 years later, in 1979, the World Health Organization declared that smallpox had been eradicated. That immense victory, which took centuries to consummate, was brought closer by the knowledge that an African-Bostonian brought to a city where he was held in slavery at the beginning of the 18th century. The episode is also fascinating for one final aftereffect. An important witness to the debate over inoculation was a 15-year-old boy, the younger brother of Cotton Mather’s chief tormentor in the Courant. Perhaps the most famous Bostonian of all time, Benjamin Franklin made his fortune, of course, by fleeing the city and its theological disputes for Philadelphia. As an adult, possibly with some acknowledgment that he and James had been too quick to ridicule an elderly minister trying to use science on behalf of humanity, Franklin would become an important advocate of inoculation, especially after his own son died of smallpox. Franklin also had a personal encounter with Zabdiel Boylston in London, not long after the smallpox crisis, that changed his life. The young Franklin had run out of money and options, and Boylston helped him with a crucial loan of 20 guineas, despite the fact that Franklin and his brother had attacked his medical efforts throughout 1721. As an old man in Paris, Franklin met a young relative of Boylston’s and told him that he could never repay what that loan had meant to him at a low moment. “I owe everything I am to him,” he confided, before asking the young man what he could do for him. Today, as anxiety leads many to see all of Africa as a potential source of infection, it may be time to revive a similar feeling of reciprocity—and an appreciation for what African medical knowledge meant to Boston during the most serious health crisis of its early history. Ted Widmer is assistant to the president for special projects at Brown University and a senior research fellow with the New America Foundation. He is an Ideas columnist.